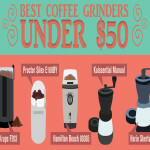 Here are the Best Coffee Grinder For French Press! We know you probably have many questions about French Press, when it comes to grinding coffee specifically for that device. We’ve taken the time to answer some frequently asked questions we’ve gotten from our readers. Read on to find the answer to your questions. Continue on after that to see the grinders we recommend. Check out the table of contents if you want to skip over the questions and get straight to the meat of this post. 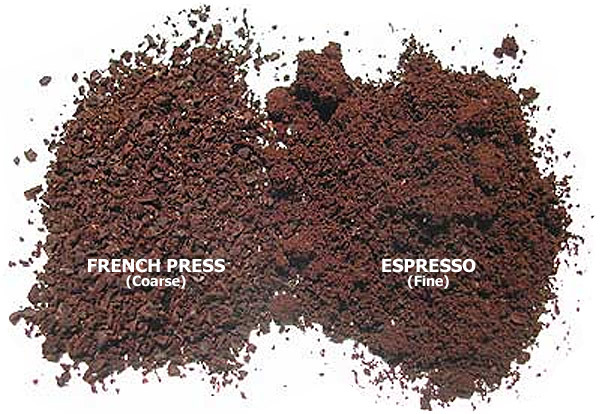 What coffee grind is best for French Press? Is it better to grind your own coffee? Why is my French Press coffee weak? Is a burr grinder better? What’s the quietest coffee grinder? Can you grind already-ground coffee? Can I grind coffee the night before? 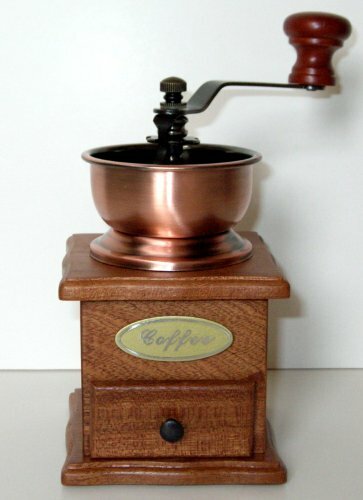 How long does coffee stay fresh after grinding? With a drip coffee, you’re getting the flavor and oil removed due to the paper filter. The flavor in food is normally in the fats and oils. It’s the same with coffee beans. When they’re crushed, the oil seeps out of the bean. It’s there when you use the French Press. It’s seeping into the water for your coffee. When the oil is removed, you’re removing much of the flavor. 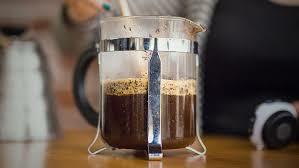 The grounds in a French Press will steep and soak to remove all the goodness from the grind. Instead of leaving flavor behind in the paper filter, you’re getting them inside your coffee cup. That makes for a better cup of coffee. A coarse grind is best used with the French Press. If you use a grind that is too fine, it’ll end up going through the mesh. 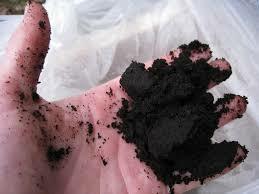 Instead of a cup of coffee, you’ll get a cup of mushy grounds. That means most coffee already ground for you will be too fine. Drip grind used in most coffee machines is too fine for the French Press. Your regular bag of coffee won’t work here. You’ll have to buy coffee that’s ground for the French Press specifically. It has to be coarse, but not too coarse. 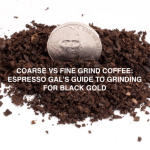 A really coarse grind will actually give you weaker coffee. The water won’t touch as many surfaces of the grind. For this reason, it’s usually best to use your own grinder. This way you’ll have total control over the consistency of the grind. You’ll know exactly how fresh it is because you’ll have made it. Once you grind your own beans, you’ll be able to taste how different it is. Your morning cup of coffee has never tasted so good. To get a really good cup of French Press coffee, it’s important to have control over the grind. A coarse grind is vital to the process. There’s a fine line between a good coarse and a bad coarse. The best way to know that you have the right grind every time is to do it yourself. Like many other things, it’s important to control the process from start to finish. Otherwise, you could end up with a less-than-stellar cup of coffee. With French Press, the grind really does matter. If it’s too fine, the coffee will taste bitter. On the other hand, if the grind is too coarse, it’ll taste weak. The surface of the grind will dictate how much water touches it during the brewing process. When it’s too fine, there’s too much water seeping into it. It pulls too much from the grind, which makes it taste bitter. The grind that is too coarse won’t release enough to make a strong, good cup of coffee. That’s why you have to have control of the level of your grind. You can get it in the right grind at a grocery store. It’s not a guarantee that you’ll have the right grind, though. Also, it won’t last very long before the coffee starts to break down. 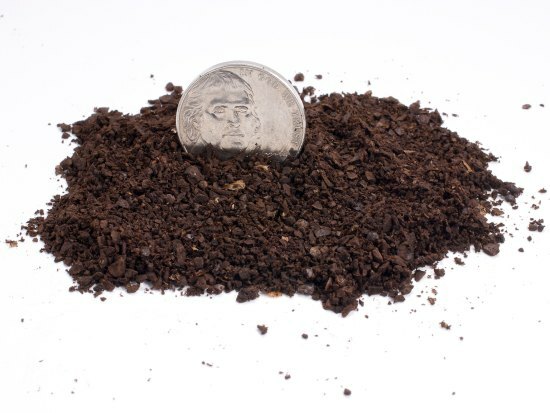 Potentially, you could be purchasing grind that’s already stale. If you want full control over your coffee, a grinder is essential. There are two types of grinders. There’s a burr grinder or a blade grinder. The blade grinder actually slices coffee beans. The blade works like the blades on a small airplane. You can’t be sure that the beans will fly through the blades correctly. With this kind of grinder, you can’t be sure of the size of the grind. They tend to be uneven. You’ll have big chunks and small pieces. All of that is unsuitable for your French Press coffee. In a burr grinder, there are two surfaces that crush the coffee bean. 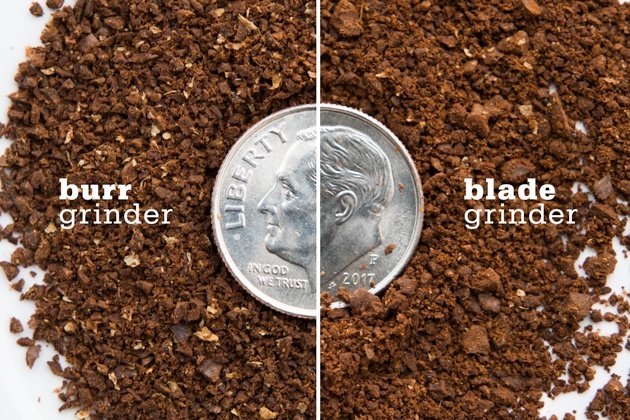 With the burr grinder, the results tend to be more uniform and consistent. For the best French Press coffee, you need a consistent grind. 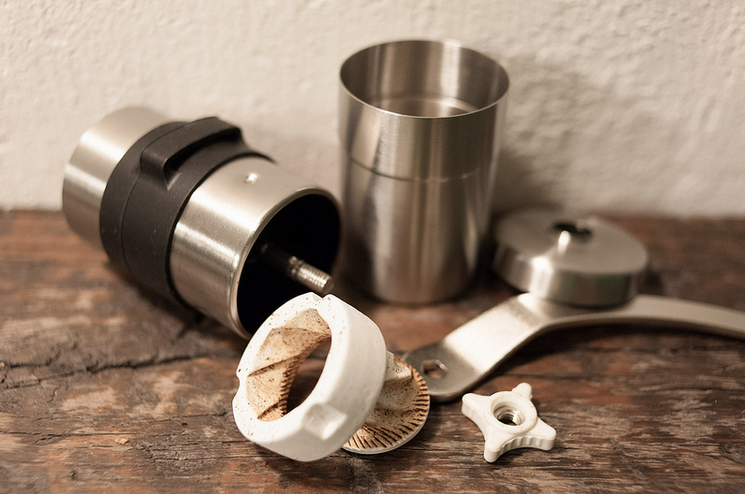 A manual ceramic burr grinder is a machine that will give you a consistent grind. There won’t be a surprise in your cup when you use a burr grinder. You’ll know that the cup of coffee you’re making will be perfect. The way you love it. There are electric and manual grinders as well as burr or blade ones. 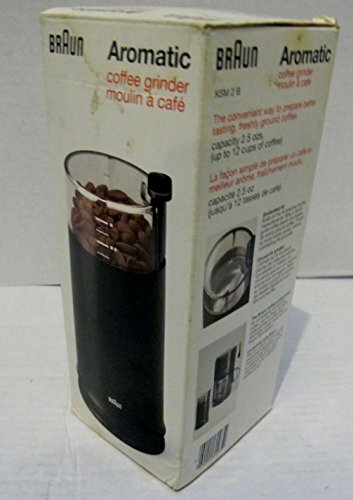 If you’re grinding in the morning before making your coffee, then you want a grinder that won’t wake the entire house. The quietest grinder is a manual. It’s also the way you’ll get a more consistent grind. With a manual burr grinder, you’re going to have peace and quiet in the morning. It’s no louder than a pepper mill when grinding. It’s also a great way to get an arm workout before heading out for your day. It’s not a good idea to re-grind coffee. When you grind beans, they bounce around in there until they’re the grind you’ve set. If you put already-ground coffee in there, the machine doesn’t know the difference. The grind won’t flow through the machine properly. It’ll cause grind to get into the interior workings of the grinder. It could actually ruin the machine. You’d have to pull it apart to clean it. If you don’t clean it, you’ll have old grind sprinkling into every cup of coffee you make. It’ll be the stalest coffee you’ve ever tasted. Plus, you’re trying to get a coarse grind for your French Press cup of coffee. You don’t need to re-grind for that. For a great cup of coffee, it’s essential that you grind as soon as possible before brewing. You could grind the night before, certainly, but you’re not going to see as fresh of a cup. It’s best to grind moments prior to making your French Press brew. This will give you the best tasting cup of coffee. 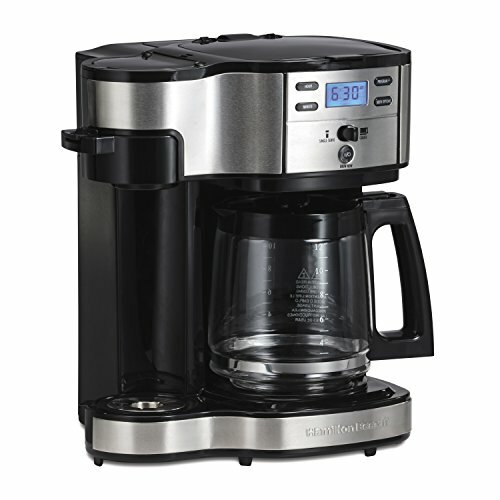 For convenience’s sake, you can grind the night before and set everything ready for your morning cup. It won’t be as fresh, but it’s a bargain you might have to make for a quicker start to your morning. On the other hand, if you set your alarm for 10 minutes earlier than normal, you can get up early. Grinding your coffee can become a ritual that you love. It’ll set you up for a peaceful day. This question goes along with the previous one. 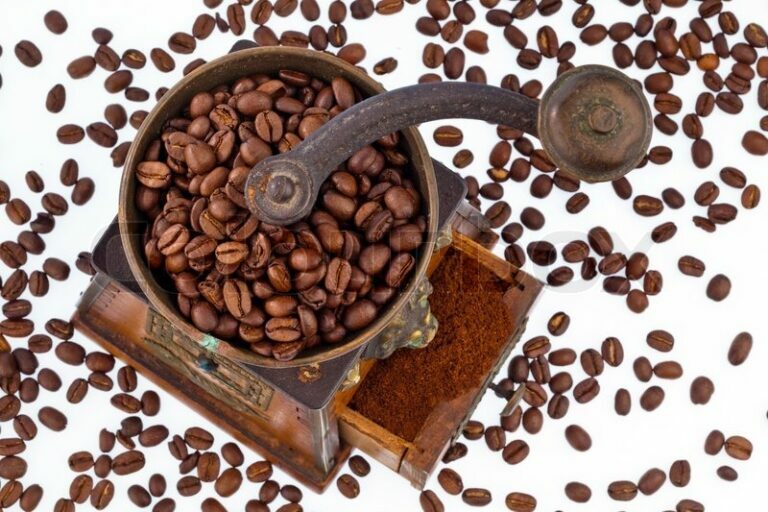 After grinding, coffee immediately starts losing its freshness. That happens daily after grinding. Most coffee becomes stale after a week. If you leave the bean alone, it’ll last for a few weeks. Then you can grind immediately before brewing. This will give you a fresher cup of coffee. You’ll have to decide the best method for yourself. It might take some experimentation, too. Grinders are not that expensive for the purpose. In fact, you’ll be trading expensive cups of coffee at the coffee shop for coffee you make yourself. Overall, it ends up being a money saver. Plus, you’ll never be angry over a coffee that tastes bitter or weak again. 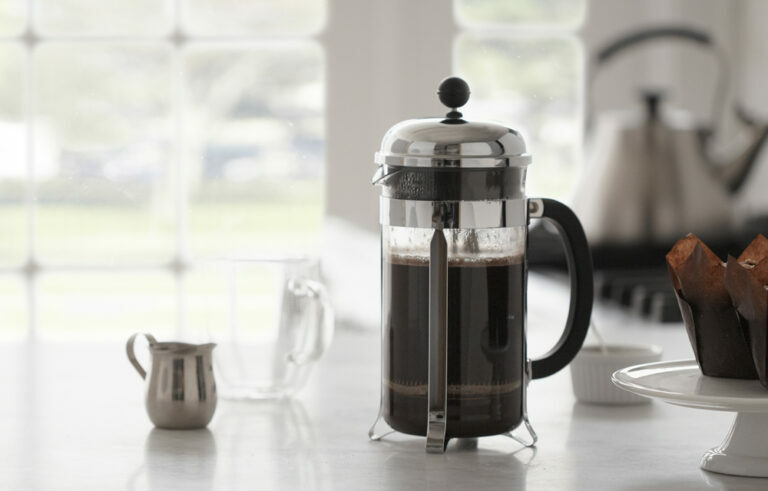 Making an excellent cup of French Press-style coffee at home to rival the expensive coffee houses is its own art form, but with practice, it can be done. There are some people who confess that once they’ve tried coffee made with a French Press, they’d never go back to regular drip coffee. Never! For those of us with any French Press experience, coffee made in this way is definitely an art form. In order to do it right, owning the best coffee grinder for making French Press coffee is crucial. Odds are you already own some of this coffee equipment, but if not, you can do without it, although these things make the process a lot better and easier. 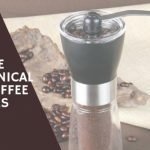 Now, just before we get to our list of the best coffee grinders for making French Press coffee, here is a quick video by New York barista Mike Jones that shows how to make a cup of French press coffee. So, if you are totally new to the process, this should give you a rough idea how it’s done. The video above makes the process look fairly easy, and it is. Still, if made incorrectly, you run the risk of bitter and oily coffee. This comes back to having the right coffee grinder, and grinding your beans in the appropriate manner. 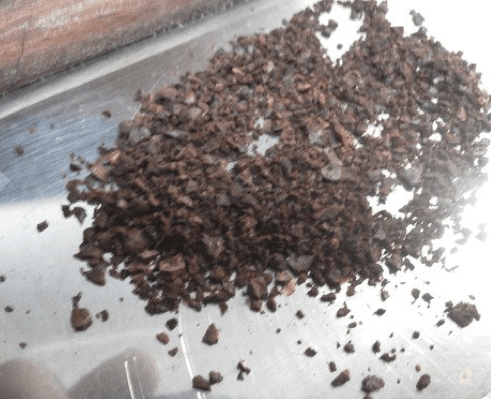 To do it right, you will need a grinder that will make very coarse grinds, akin to the size of sea salt (as pictured). 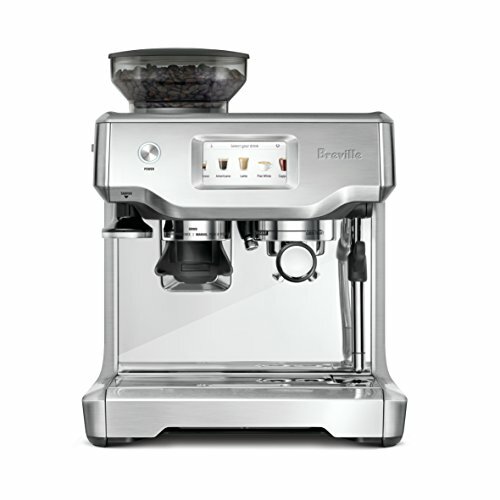 Which brings us to our top 3 best coffee grinders for espresso! 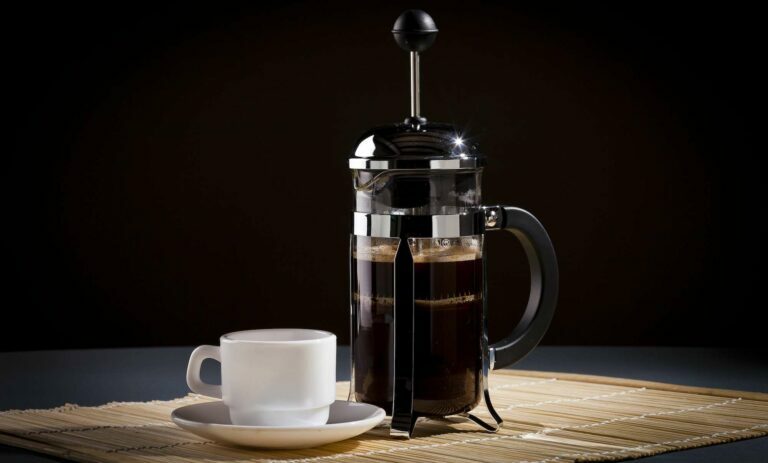 Quite often, manual coffee grinders are used for French Press coffee, and that’s simply because you can conveniently grind directly into your French Press. 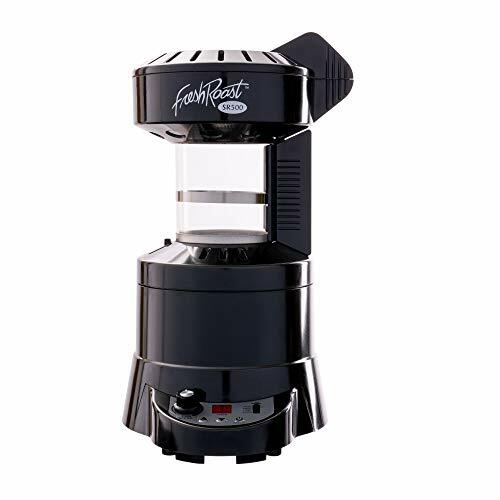 As far as that goes, there really are no manual coffee grinders that are better than the Porlex Mini here, which has a sleek, modern look and is made from stainless steel. It stands about 13 cm tall and 5 cm wide, so it’s quite compact and makes enough coffee for about 2 cups max. 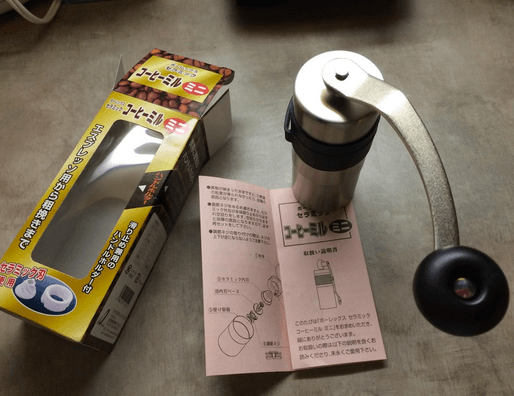 Basically, if you are someone who just wants to make a quick cup of coffee or two, using fresh ground beans, then this little grinder is perfect. 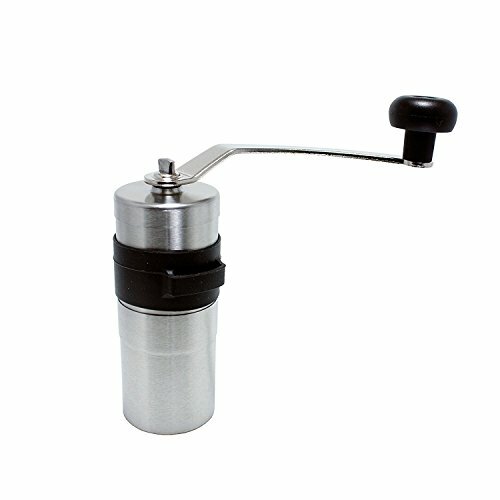 Porlex is a Japanese company known for exclusively making grinders, and they take pride in their work. Also, they have constructed their grinders to be perfect for the French Press process, which is another reason we love the Mini. If you’re looking for something that is a little bit bigger than the Mini, you can have a look at its cousin the Porlex JP-30. It has also garnered a lot of positive reviews and costs about the same price. But, it gives you a little more room and has the same basic features as the Porlex Mini. We recommend ceramic burrs over any other type of burr because they always yield the best results. If you are a fan of the Aeropress coffee and espresso maker, the Porlex Mini works just as well with that device. With the Porlex Mini, you can adjust your burrs to grind for specific brews, with its coarse setting being ideal for French Press coffee. This is the big reason we love this grinder – because it excels at coarse ground French Press-style coffee. Oh, and it’s quiet too, as most coffee mills are (just like grinding pepper). Another great thing about the Porlex Mini is that it’s very portable. 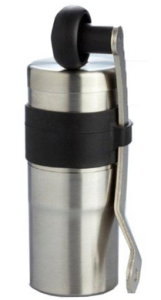 Often times people who travel frequently like to take their home brewing coffee gear with them. The Porlex Mini makes that quite easy. With its stainless steel construction, you can take it anywhere and have no fear of it breaking. The Porlex Mini has a nice, easy-to-turn silicon-grip handle which attaches itself to the side of the grinder when not in use. There is a silicon ring around the grinder as well, so you can grip it easily when turning the handle. Very easy to clean as well. We feel that the Porlex Mini is the perfect companion coffee grinder for the French Press coffee maker. Here’s a customer video review of the Porlex Mini which shows you this little grinder in action. 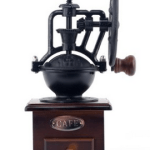 The Rosewood manual coffee grinder from Aztec is an attractive, highly decorative, old-fashioned model of manual coffee mill that exudes sophistication and old-world craftsmanship. This coffee grinder is made from actual rosewood, which is quite beautiful. 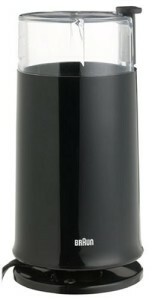 It provides the customer with a lot of aesthetic value for the price you’ll pay for this grinder. 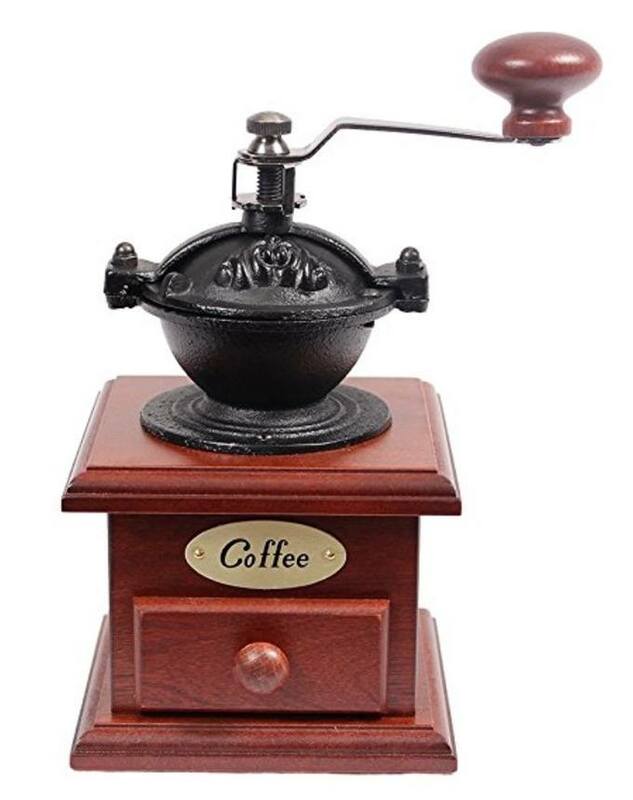 This coffee grinder almost seems like a real antique, as they have used both rosewood and iron to give it that classic and elegant appearance. The adjustable screw gives you the ability to choose the setting for your grind, and, as we mentioned, the coarse grind setting is just perfect for a French Press. 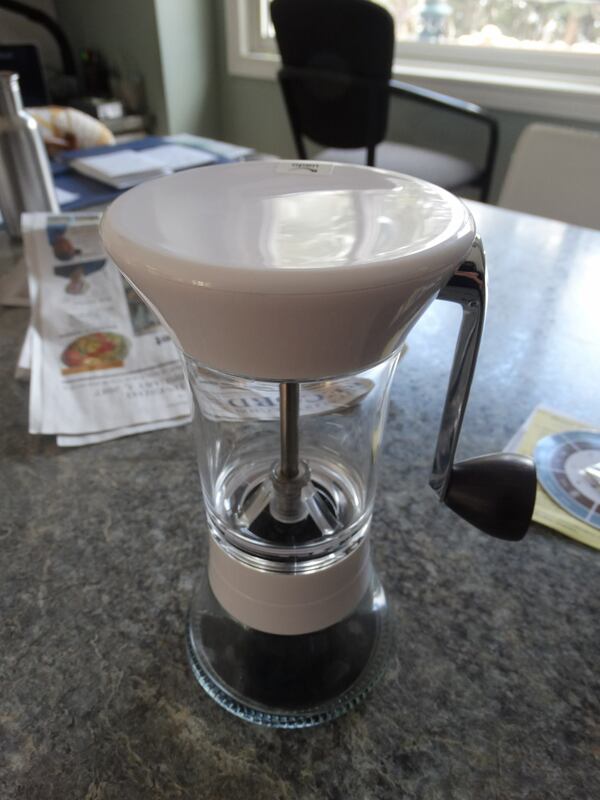 Don’t let the classy appearance fool you into thinking this coffee grinder doesn’t do a mean French Press-style coarse grind – it most certainly does, which is one big reason we love it! This model comes with instructions, but the Rosewood manual coffee mill here is so simple to use you’ll hardly need them. One thing that is great about the Rosewood grinder is it looks great on your kitchen counter; particularly if you have one of those older houses where it would match the surroundings. This is a real eye-catching piece of coffee craftsmanship, and people who own this grinder have nothing but compliments on the grinder just for its workmanship. Quiet and efficient, The Rosewood Manual coffee grinder is nearly silent and takes about the same amount of time to finish grinding your beans as it does to boil your water for your French Press. Also, grinding the beans is nearly effortless with the way they’ve designed the handle and the housing of the grinder in general. The fact that it’s so quiet makes this grinder a whole lot different than some of those other screeching grinders you’ll come across. With the Rosewood Manual coffee grinder, one of the potential drawbacks is that you have to grind slowly with this machine. That’s a drawback for all manual machines. Because you are simply pouring your fresh whole coffee beans into the metal hopper, which is open on the top, this means you ought not be grinding quickly, or you will probably spill some beans. You should also be aware that there is nothing underneath this grinder to keep it stuck to the counter, which means if you have a slippery counter, it’s going slide if you’re not holding it. Similarly, the handle too is made of wood and not silicon like the Porlex (they are completely different designs, of course), but that means that the handle can potentially be a bit slippery as well. Overall, we feel that the Rosewood Manual coffee grinder provides the perfect coarseness of grind for the French Press. 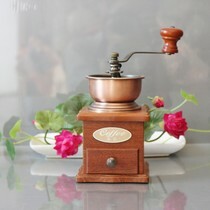 Besides being a coffee mill, which looks great, it is the perfect choice for a French Press coffee grinder. Here we have another coffee grinder that excels at creating a good coarse-consistency grind. That’s exactly what is needed for making French Press. One thing we like about this coffee grinder is that you can monitor your grinding via the transparent lid (which is dishwasher safe). It also features two down-pointing ribs to guide the coffee beans towards the blades to ensure an even grind. 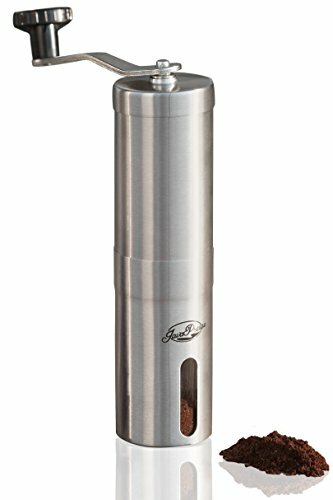 The 150 watt motor, combined with the design of the stainless steel blades, means your beans will be ground quickly and efficiently with overheating or spoiling the coffee’s taste. The Braun also has a safety feature built right in; the unit will not work unless the lid is securely in place and locked down. It is also worth mentioning that Braun is one of the biggest names when it comes to blades. So, its no surprise that they have designed a blade grinder here, which is a fan favorite. One drawback is that you’re just not going to get as quiet of a grind out of a motorized / electrical grinder as you would a manual, handle-turning unit. The flip side of the coin is that it’s fast, and in only seconds will grind the beans to the perfect coarse consistency for a French Press. Although the grinder itself is not dishwasher safe (due to being electric), it’s a breeze to clean up. Simply rinse out the plastic cup and wipe down the interior of the grinder with a damp paper towel or cloth. 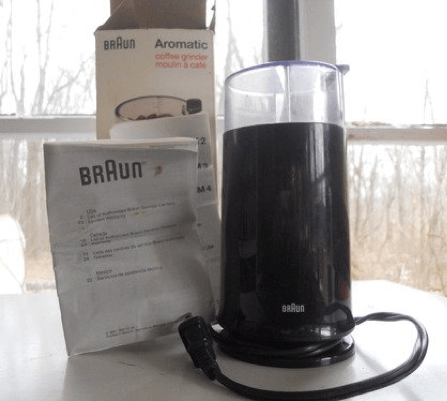 The Braun Aromatic Coffee Grinder comes with instructions right in the box and carries a one year warranty against manufacturer’s defects. So concludes our look at 3 of our favorite grinders for French Press. If you don’t think any of these grinders is the one for you, definitely check our section on manual coffee grinders. You’ll be sure to find one other there!